For the first three kilometres, where it flows out of lake Wanaka, the Clutha river is said to contain the highest bio-mass of trout of any river in New Zealand. 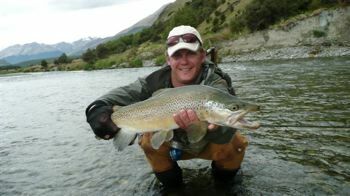 Welcome to fishing in Wanaka! Another great thing about this great river is that is always clear, even after the heaviest of rains. There are often good early-season mayfly hatches, and excellent caddis action during summer evenings. Our other local rivers are: Hawea, Makarora, Matukituki, and of course the Hunter  all stunning and excellent fisheries at different times in the season. We also have  and greatly undervalued  an exciting stillwater fly fishing, if you like lake-shore stalking and plenty of challenge. Being a top holiday destination in its own right there are a host of accommodation options available in Wanaka to suit all budgets. If you are travelling with a family, Wanaka is a perfect place to let them roam and graze while you enjoy some Time Out on a river. 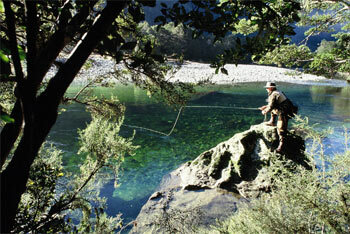 Wanaka is conveniently located to optimize the south of the souths many fly fishing options. It lends itself to optimising weather and river conditions thus enabling flexible clients to maximize their fly fishing experiences for that particular time. Of course, where possible, forward accommodation bookings are made staying at a range of venues. Most are comfortable lodges and home stays but self -contained accommodation is also used at times. Occasionally, we arrange for some clients to camp overnight in huts if they prefer. This trip is for those that want to experience the big sky country of the majestic Mt Cook and the large rain shadow region of the McKenzie basin to its east. Here the trout [both brown and rainbows] are plentiful and the terrain pretty easy going  no bush bashing thick undergrowth, clambering down cliffs or traversing turbulent ankle breaking bouldered rivers here! Having the highest part of the Southern Alps to shelter it, the region enjoys some of the best weather conditions available. Generally, if its bad here then its worse elsewhere!! 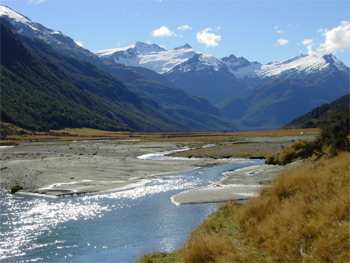 From our base at Twizel we access famed rivers like the Tekapo and Ahurriri and a host of top other rivers. Of course, there are many options for accommodation in the region but whenever possible we stay at Heartland Lodge. 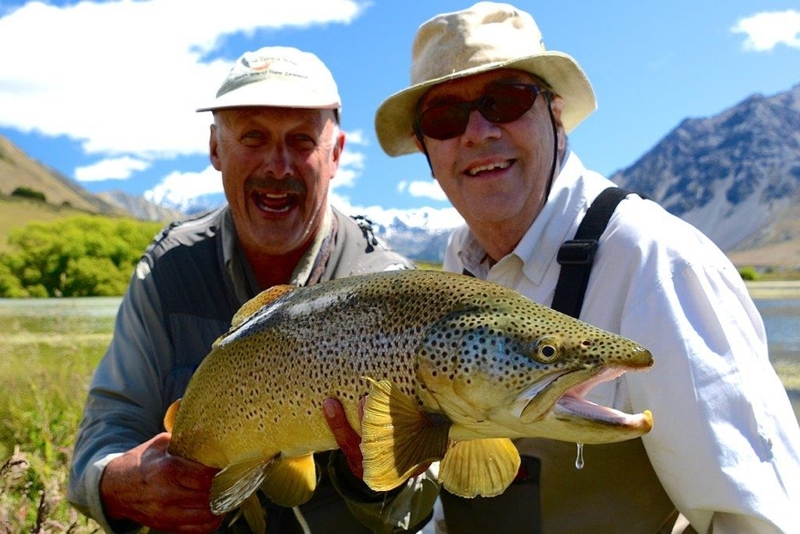 It is luxurious without being over the top price wise and located pretty well centrally to some of the finest trout fishing on offer in New Zealand. New Zealand West Coast is a narrow strip of land between the Alsp and the Tasman Sea, the land of rainforest, wild rivers, magical spring creeks and big brown trout. 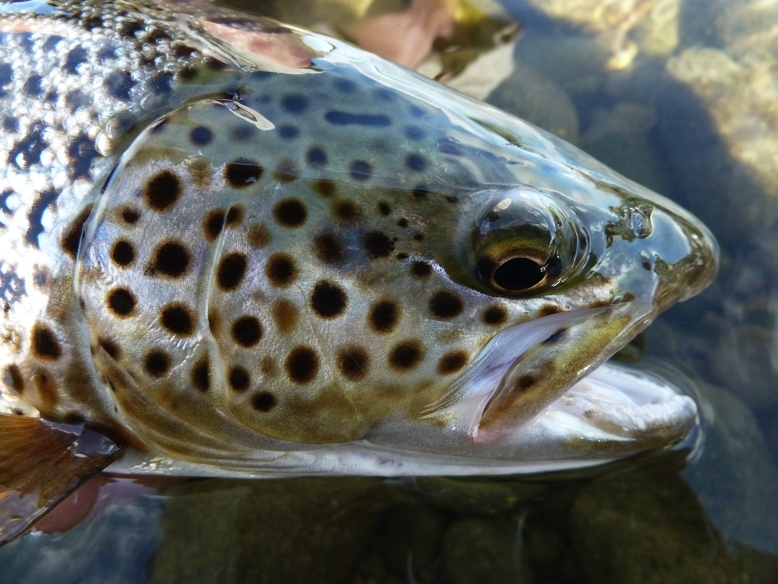 In spring (Sep-Oct), during whitebait migration, there are some monster sea-run brown trout in the lower reaches of the rivers. In summer, there is a good backcountry fishing, plenty of spring creek challenges. Accommodation is in small B&Bs. This is a big and wild place so you need to allow at least 4-5 days to sample its riches. Generally, a high level of fitness is required for these adventures. Helicopters are very useful here! 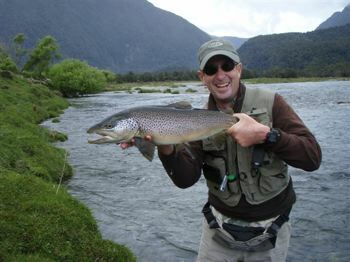 To the brown trout aficionados, New Zealand Southland needs no introductions. 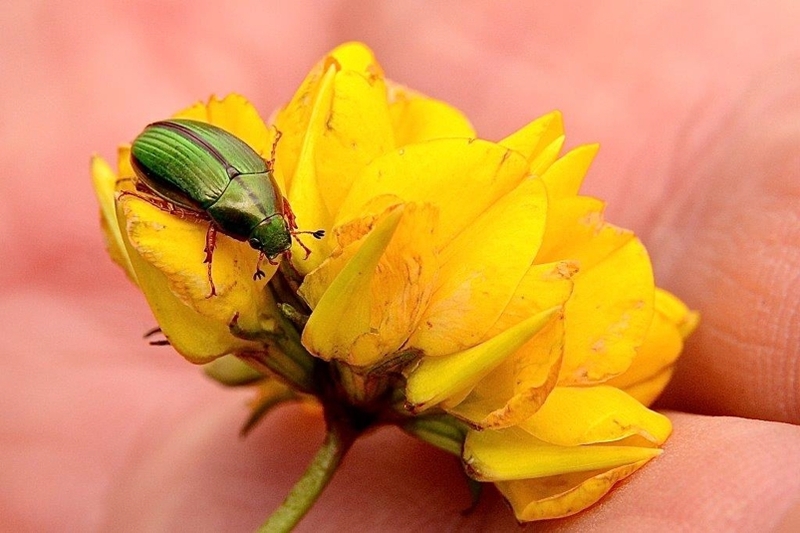 The Mataura river is well-known wherever there are fly fishermen and women, and the town of Gore is a self-proclaimed world capital of brown trout. The fishing is in rural lowlands and the mayflies are particularly prolific. This is our match the hatch territory, perhaps the most consistent place to find pure dry-fly fishing. Accommodations are varied in the area, from lodges to hotels, motels and some very good self-contained houses. There is good winter fly fishing in the Southern Lakes District, especially in August and September. 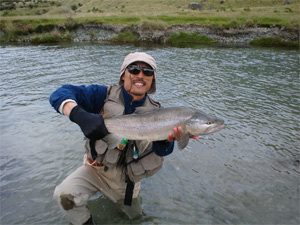 The style of fishing is also Taupo-like: fishing stream mouths, with heavy sinking lines, and the rainbows we catch are in superb conditions and can be extremely lively as they run to spawn in the cold glacial rivers. The winter fly fishing in Wanaka and Queenstown is an ideal option if you want to combine fishing with skiing/snowboarding. 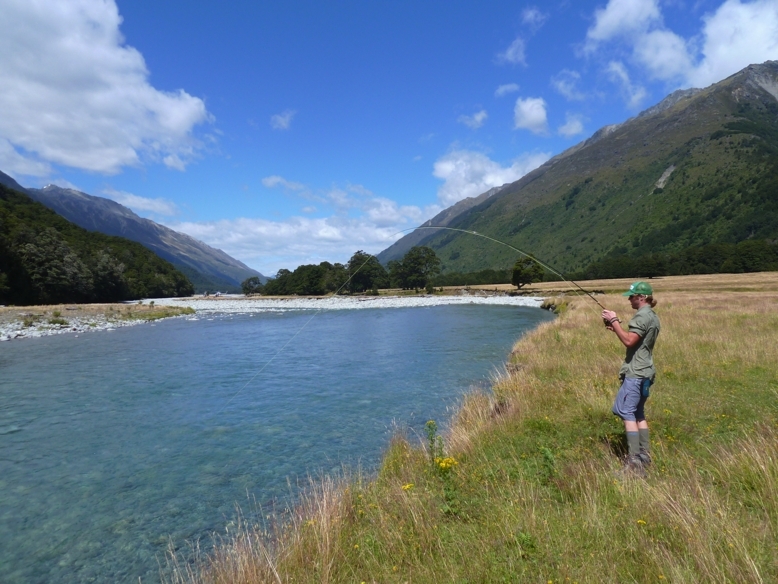 This is one of our the most popular options where the focus is to sample the amazing diversity of New Zealand's South Island and all it has to offer the visiting fly fisher both in terms of fishing experiences and landscapes. Each customized trip varies according to conditions and time of year but gives the guided anglers a real taste of what the South is all about. Accommodation is hand picked lodges and B&Bs. Pick ups can often be arranged from airports and therefore negate the need for vehicle hire.